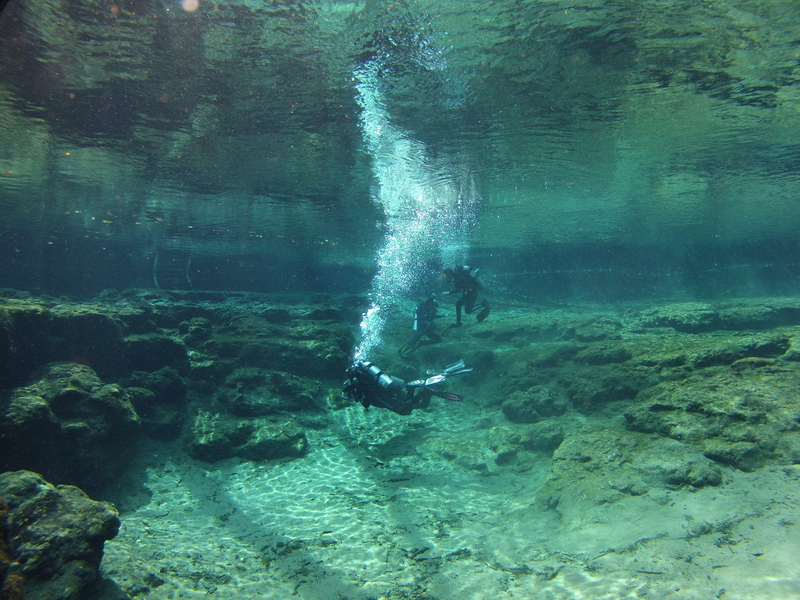 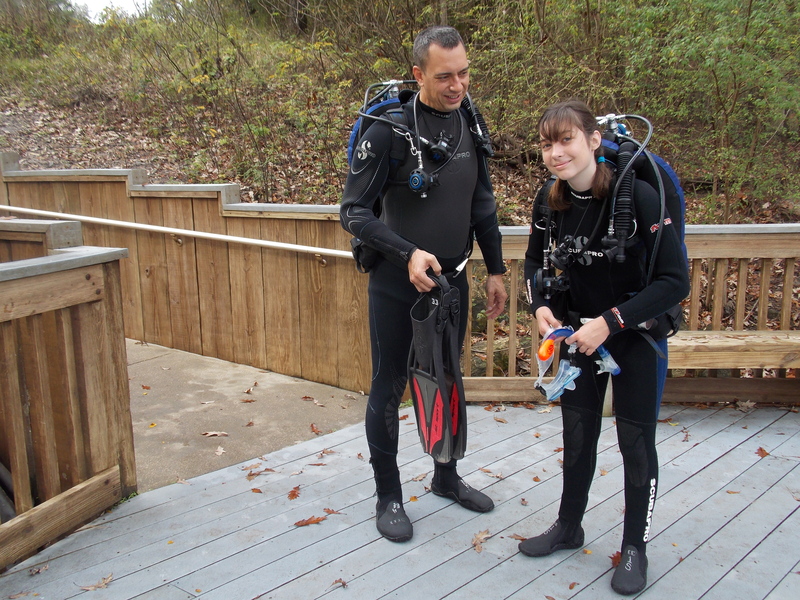 Paul so proud of his Daughter Thia all suited up and ready to get in the water at Troy Springs for their Open Water class. 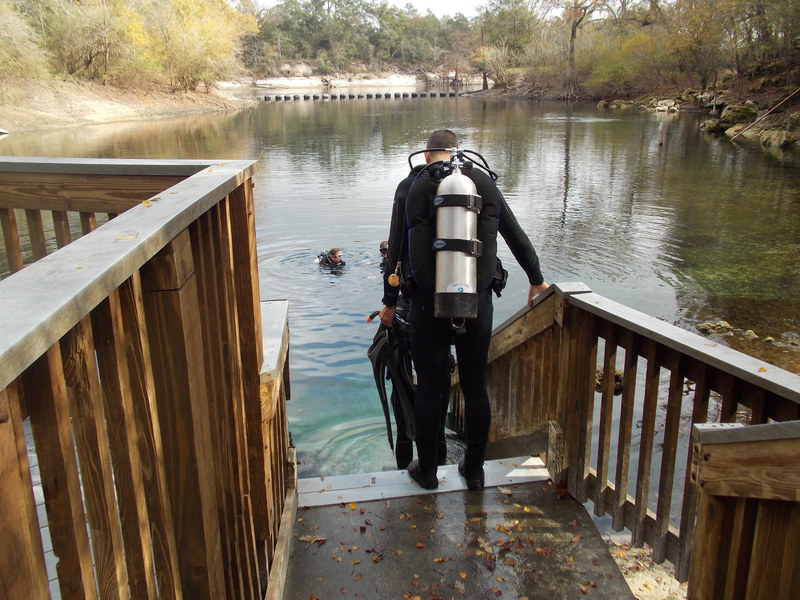 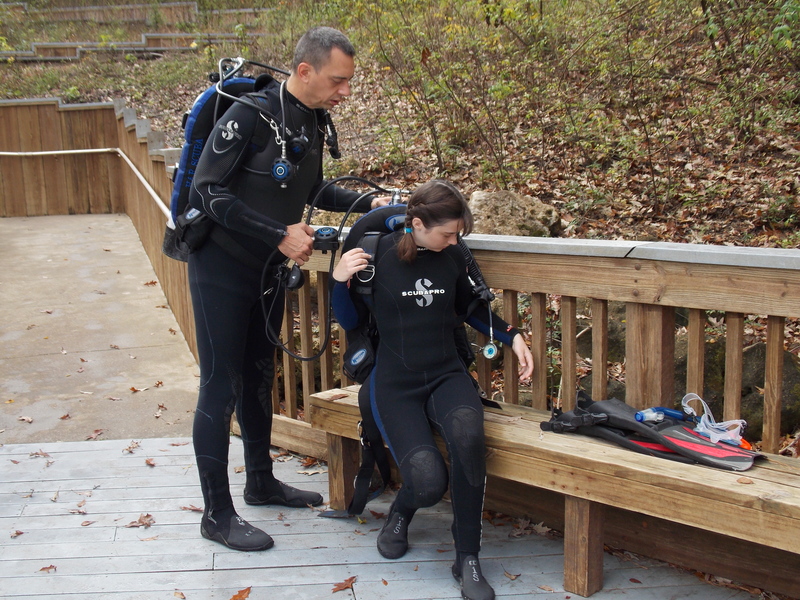 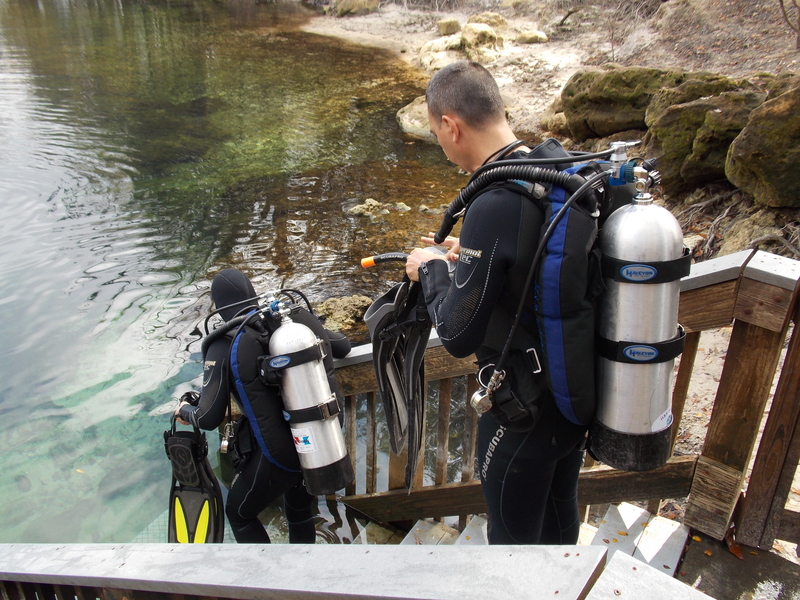 Paul helping his wife Mary Beth with her Scuba Gear before they get in the water at Troy Springs for their Open Water class. 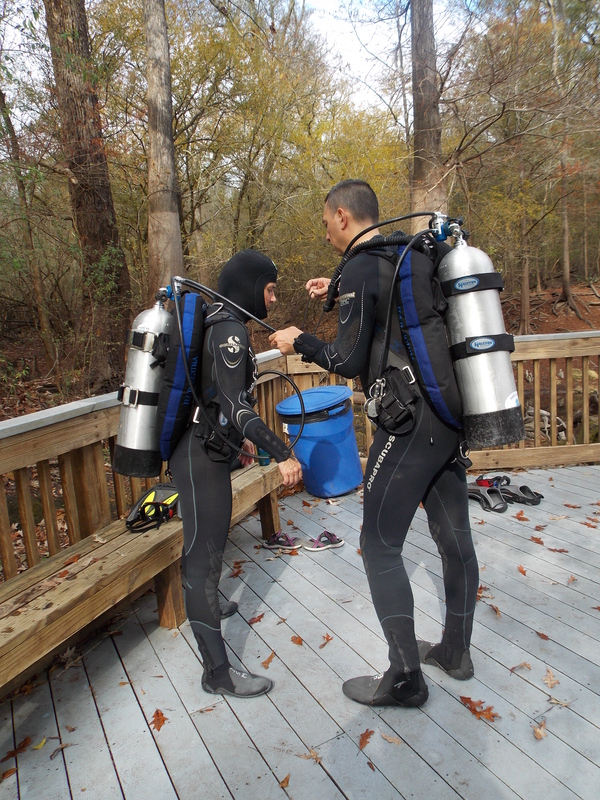 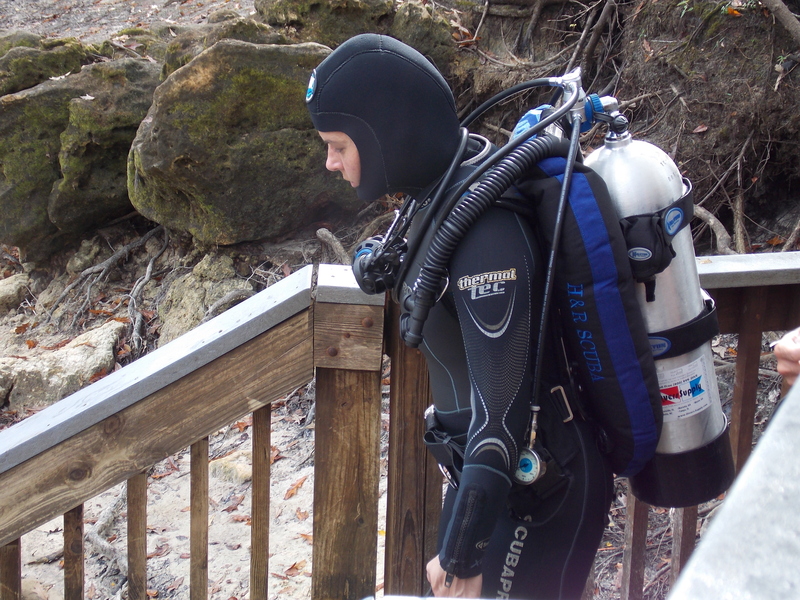 Paul is always ready to help, such a good Dive Buddy!